A nurse’s responsibilities in end of life care go far beyond medical and hygiene tasks. Part of end of life care for a nurse is communication, whether with the patient directly or family members seeking the best care possible. Nurses who take on the care for a terminal patient must show compassion and support for the dying patient and those close to them. While this role can be challenging and emotionally draining, it is one of the most important capacities of caring a nurse can take on. There is no question end of life care is demanding and emotionally challenging, but if you’re the right fit for the role, it can also be extremely rewarding. Your entire existence is focused on making a patient’s final days valuable and enjoyable. For a nurse tasked with caring for the dying, the environment comes in many forms and may even change mid-care, depending on your patient’s desires. End of life care if typically offered in a traditional hospital, nursing home, hospice, or the patient’s home. No matter the location, the standard of care and compassion offered should not change. When a nurse recognizes that the patient is approaching very limited time, it needs to be communicated to the family – who will want an opportunity to be near their loved one – and to the patient, as appropriate, so everyone is prepared. The conversation with a patient who is dying needs to be approached with compassion and a gentle, honest tone. The patient should lead the conversation and the nurse focused on answering questions, providing emotional support, and fulfilling requests for last wishes. 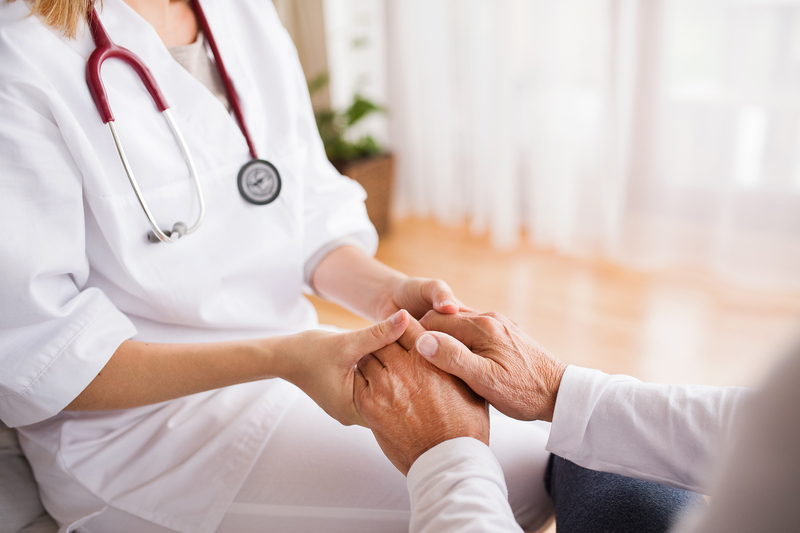 If it becomes obvious the patient doesn’t want to have the conversation, it’s the nurse’s responsibility to comfort that patient and conclude the talk. However, it is important to have the conversation with the family so they are prepared and can take any necessary actions for final arrangements. Caring for a dying patient encompasses the need for holistic care including physical, emotional, psychological and spiritual support. The patient may have emotional highs and lows, confusion, and unique medical needs. Allow the patient to remain in control of the conversations – as some will be open to speaking about their care and life expectancy and others will not. A nurse’s ability to offer support and information to those closest to the patient will enhance their experience in being a part of someone’s life at their most critical time.